From my flock kept for nearly 30 years. These hens produce extra large (73 - 85g) eggs that are amongst the darkest terracotta brown welsummer eggs you can find. I specialise in keeping and breeding show quality Pekin bantams. I keep Buff, Black, Lavender, Silver Birchen, Silver Partridge, Blue plus many others. I also keep Silver Laced Wyandotte bantams. I specialise in silkie chickens, I have white, gold, cuckoo and expanding more, please ring or email me to check stock prior to calling. I am always able to answer any emails. We are a small holding that has more than 25 years experience in breeding and selling chickens. We can provide you with infomation on our breeds and with buying chickens off us. I have stunning hand reared chickens for sale from chicks to Point of Lay (all year round), chicken Food also available, a lovely selection so please come and have a look. Please call for information on our stock. We are a small family run set up with a small holding just outside Hastings. Our chickens are free to roam around as they please and have the perfect start to life. We have them from day old chicks and are well used to being handled making them very friendly happy hens. Exceptionally rare, friendly and hardy breed from Sweden. Birds are beautifully and individually speckled. POL available most of the year. Please call to check stock or visit website. 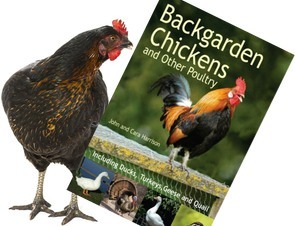 Exclusively available from Southmead Poultry and Golden Valley Poultry. Gorgeous, healthy, vaccinated birds available at POL. We only keep friendly/sociable breeds as they spend time mixing with children here and are pets first but all great layers second! White feathered, Hatched May 2016. Fed on Goose starter and Wheat with Grass pasture diet. Middle Farm have been supplying poultry to the public for over 20 years. We hatch all our own birds and stock a wide range of breeds. Hatching eggs are available Please call or email for availability. Sellers of various different chicken breeds in East Sussex. From day-olds to POL+. Chickens available all year round. Between July and September we often have Lavender Pekin trios for sale and occasionally bantam Light Sussex. Please contact us to find out about current stock and breeds. Our cottage can be hard to find. Please leave message on mobile phone and I will call with full details.